3.Support ONVIP/RTSP, you can monitor by computer, tablet, PC ,Phone ,iPhone and router. 6.Support two-way audio function, choose listen/speak on smartphone APP, start to communicate with your families anytime anywhere. 7.Built in IR-cut, better surveillance effect, no color cast and no image distortion. Enhance color purity of the day, and night vision effect. 10.Anti-crash functions, camera will auto reboot each three days and auto back to the position before reboot. 12.Mega pixels HD sensor Lens: 3.6mm Image Sensor, Mega Pixels HD IR-cut Sensor. 14.HD video recording , high quality ,1980*1080p display resolution, meet your family and commercial demand. 15.Supports simultaneous browsing for up to 10 users . 17.Auto White Balance (AWB)； Auto Gain Control (AGC). 18.Operation voltage :5.0V；Power consumption : 1500mA. 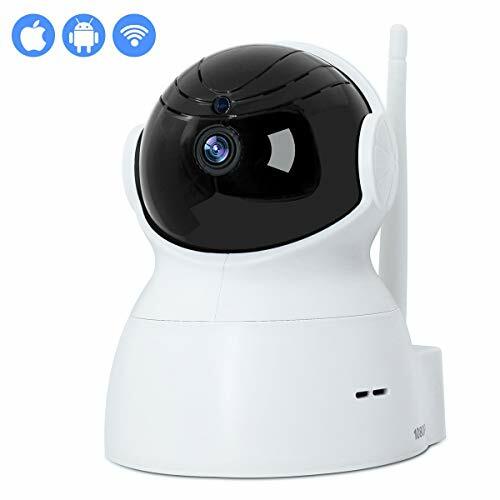 Commercial Panoramic IP Camera: This wireless security home camera use true commecial level 1080P 2.0MP 360 fisheye lens ,with sonic recogonition technology, high fluent video surveillance camera, can widely used on home security monitor, shop, supermarket ,corridor ,warehouse and all the indoor occasion. With Remote Pan/tilt APP Control through phone, you can see the whole scenes of the room, no need extra home security camera. With commercial level you will have the best video experience. Strong Infrared Night Vision：Night vision sureillance sysmtem camera support auto IR-cut by the smart intelligent camera system, to new use sonic tech,improves the video fluency, you can instantly see what happens when get alarm messages from phone. The IP camera makes it very easy to monitor baby at night, also convenient for business man,manager and boss, you just need to open the phone APP and watch your office when on business trip or vacation. Two-ways audio:Built-in microphone makes it possible to have conversation with your family trough phone APP,you can aslo see what the baby is doing through this baby camera.The child or baby can also communicate with you through the wireless camera,this wifi baby camera makes love,care closer and let the accompany of the family ,children anytime, anyplace with this home camera security. Live broadcast will be directly transmitted to your smartphone or tablet PC. If you have any questions about this product by INKERSCOOP, contact us by completing and submitting the form below. If you are looking for a specif part number, please include it with your message.